Trying to figure out if your latest idea for a project is already being widely supported by NIH? Looking for a local collaborator who has the research expertise you need? Searching for research results on a particular disease or medication? Want more details about NIH-funded research than you can find in the prepared reports on the NIH RePORT Web site? RePORTER (RePORT Expenditures and Results) is now ready to help! It replaces the CRISP funded research report tool, which NIH will retire this September after a long and distinguished career. The new site brings together data from many different sources and lets you search and sort it in new ways. You can still do simple searches by investigator, organization and terms (keywords), but you can also, for example, search just Recovery Act-funded grants or by NIH spending category. The results give you more detailed information about the projects, including funding levels, links to related research papers, resulting patents and other helpful information. Because you can specify a variety of search terms and topics, you can use RePORTER to generate your own reports. 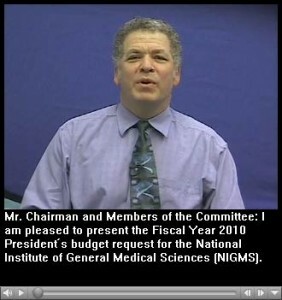 RePORTER includes information about NIH-supported research at institutions in the United States and throughout the world, as well as NIH intramural research. Spend a few minutes on the site, and you’ll find it’s easy to use. That said, RePORTER is still very new and growing, so some features—like the “Term Search” field that currently doesn’t support complex, compound queries—will likely improve. But even as the site moves from version 1.0 beta to full release in the fall, it’s already an incredibly convenient one-stop shopping venue for information about NIH-funded research. Come on by! If you have comments about RePORTER, use the e-mail link at the bottom of each page to send your feedback. John Schwab here, reporting from the 59th Meeting of Nobel Laureates on the Island of Lindau on Bodensee, near the point where Germany, Switzerland and Austria meet. Since 1951, the annual Lindau meetings have sought to educate, inspire and connect generations of scientists. There are 583 young scientists here from around the world, including about 70 graduate students from the United States. NIGMS is sponsoring the participation of 16 of these students, and this is the first year that NIH has joined DOE, NSF and others in supporting graduate students to attend. This year’s meeting is dedicated to chemistry. As you know, NIGMS supports lots of basic science, which includes different “flavors” of chemistry. Many chemistry Nobel laureates are, or have been, NIGMS grantees. Several of them—such as Robert Grubbs , Richard Schrock and Roger Tsien —are among the 23 laureates attending the Lindau meeting. During the week-long symposium, our students are networking with their international colleagues, being exposed to the entire spectrum of chemistry laureates and participating in discussions about science and society. The students are generally in their second or third year (some are in their fourth). They’re a very bright and motivated group. They’re experienced enough to understand much of the science, and they’re really excited to be here. Gerhard Ertl spoke about surface science and showed time-resolved images of individual atoms moving around and self-organizing on a surface. Amazing! Sherwood Rowland and Paul Crutzen spoke about atmospheric chemistry, greenhouse gases and global warming. This was the science behind the project for which Al Gore won the Nobel Peace Prize. Very exciting yet sobering. Ryoji Noyori gave a pure science talk about asymmetric catalysis. Hartmut Michel spoke about the structure and function of cytochrome C oxidase, a membrane protein. One of the most interesting and unconventional talks was given by NMR spectroscopist Richard Ernst and titled “Passions and Activities Beyond Science.” He talked about the inspiration and pleasure he has gotten from his study of Buddhism and Tibetan art. His interest ranges from history to culture to fine art to the science of restoration of ancient artwork. His message was an important one for the students: that science need not be the only passion of a productive and creative scientist—that being a scientist doesn’t have to mean being narrowly focused! I’ve been enjoying “spreading the word” about what NIGMS is all about, and I’m looking forward to yet more stimulating science and fun interactions with a group of bright, creative students. Interested in Research Training Fellowships? NIH has just reissued program announcements for Ruth L. Kirschstein National Research Service Award (NRSA) individual fellowships at the predoctoral (F31), postdoctoral (F32) and senior (F33) levels. If you plan to apply, be sure to read the recent NIH Guide notice applying to NRSAs. Effective with the August 8, 2009, submission date, NIH will only accept electronic applications for F-series programs. There are other changes, too, including how letters of reference are submitted, how many amended applications you may submit (only one), and how review is structured (there are now five review criteria). In addition, reviewers will use the new scoring system for individual fellowships starting with applications reviewed at the summer 2009 study section meetings. I am happy to answer your questions about the F32s and F33s, and Adolphus Toliver can answer questions about the diversity-oriented F31s. As some of you may know, I recently became the acting research training director at NIGMS after John Norvell retired this past March. For more than 20 years, John provided outstanding leadership for training at NIGMS and across NIH, and he brought about many significant improvements. I welcome your input on training matters and look forward to working with you in my new role. Recently, John Whitmarsh, one of my colleagues at NIGMS, pointed out a short article called “The Glass Ceiling’s Math Problem” from the May 31 edition of the Washington Post. It highlighted a study by researchers associated with the National Bureau of Economic Research that focused on 9,500 U.S. Air Force Academy students from 2000-2008. The findings showed that female students (but not male students) performed better and were more likely to go on in science when they were taught by female faculty members. I wondered why the population from the Air Force Academy was chosen for this study. I learned that Air Force Academy students are assigned to faculty randomly, and they all must take math and science courses. These characteristics minimized factors of self-selection bias due to students choosing particular faculty, which would confound similar analyses at many other institutions. I encourage you to read the study and welcome any comments you may have. This recent work aligns with an ongoing effort at NIH to encourage the advancement of women in research careers. As part of this effort, NIGMS has led an initiative to identify and support research related to understanding the factors and interventions that encourage and support the careers of women in biomedical and behavioral science and engineering. I’m pleased to say that there was a strong response to the request for applications and that we expect to make awards soon. As part of the budget development process, I submit testimony each year to the House and Senate appropriations committees. My most recent statement is now online, as are previous ones. This year, we decided to try something different and also offer a video version of the testimony. We deliberately kept it simple and want to know what you think of it. Download free QuickTime Player to view the following video. Do you like having the option of watching a video in addition to reading the text? Should we keep doing this? Do you have suggestions for other approaches we should consider? NIH has posted a video on the Enhancing Peer Review Web site that details recent changes to the peer review system from the reviewer’s perspective. Running about 13 minutes, “What Reviewers Need to Know Now”, (Transcript [PDF, 79KB]) offers valuable information for current and prospective peer reviewers. 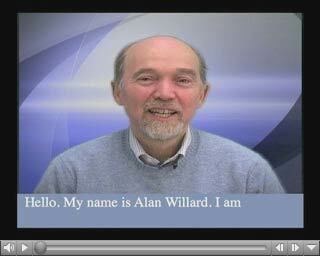 You’ll find other resources in the PowerPoint presentation and related links that accompany the video. Many aspects of the new peer review system are already being used in study section meetings. If you have participated in any of these meetings, I am very interested in your comments and reactions. I’d also like to mention that NIH’s Center for Scientific Review, NIGMS and other institutes and centers have a critical need right now for reviewers to help evaluate the tremendous number of applications submitted in response to Recovery Act funding opportunities. If a Scientific Review Officer asks you to participate on a review panel, I hope that you’ll agree to serve if at all possible. The Small Business Catalyst Awards for Accelerating Innovative Research (R43) will speed innovation by supporting early-stage ideas with commercial potential that promise to greatly advance a technological area within the NIH mission—not merely lead to incremental improvements of existing technologies. NIH plans to award 20 to 25 one-year grants, each up to $200,000 in total costs. Applications from small businesses with no prior NIH Small Business Innovation Research (SBIR) or Small Business Technology Transfer (STTR) support may receive funding priority. Biomedical Research, Development, and Growth to Spur the Acceleration of New Technologies (BRDG-SPAN) Pilot Program (RC3) will help bridge the gap between the research and development of promising technologies and the commercialization of these technologies. NIH plans to make at least 10 awards, each up to $1 million in total costs per year for up to three years. If you’re interested in applying for either opportunity, send your letters of intent by August 3, 2009. Please feel free to contact me offline with specific questions.